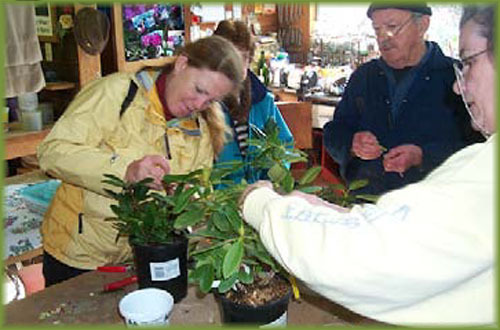 The American Rhododendron Society is a non-profit organization whose purpose is to encourage interest in and to disseminate information about the genus Rhododendron. Members' experience ranges from novice to expert. Society activities include public education, plant sales, flower shows, seed exchanges, and scientific research. The Society provides a medium through which people interested in rhododendrons and azaleas can communicate and cooperate with others via its publications, events, local and regional meetings and international conferences. ARS chapters are located throughout the United States and Canada and in Denmark, Finland, Holland, Scotland, Sweden and Sikkim. "At-large" members reside in countries around the globe, including Australia, New Zealand, Korea, Japan, Thailand, Brazil, France, Germany, Latvia, Poland, Russia, and South Africa. 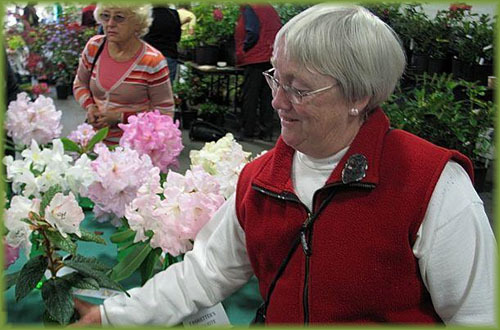 If you like gardening and flowers consider becoming a member of the American Rhododendron Society.